Yeah! Let’s Eat Cake and Be Merry, sound awesome. But before I can eat cake I have to Design My Own Heartfelt Cake first. Look this is what I did last Saturday afternoon. It’s testing my creativity, patience and decorating skills while doing Cake Deco DIY at Cake Sense in TTDI. Love it! Cake Deco DIY (design it yourself) is actually quite therapeutic when I was designing my cake for that moment I just focus and forget about the things around me. I chose the 5” Chocolate Sponge Cake and basically I use most of the love and star shaped sprinkles I just followed my heart. sunflower RM9.00; ballerina RM12.50 & banner RM15.00. This is our cake creations, what do you think? After the cake deco, Kak Jie, Fish, Cik Lily, Eizil and Karen had our afternoon tea and chit chat session at the café area. At Cake Sense not only we can design our own cake, there are a good selections of cakes, breads, cookies, pastries for sale, plus café serving beverages and coffee. Cake Sense’s signature cakes are Yogurt Cakes, Chocolate Cakes and Cheese Cakes. Their cake prices range from RM25 to RM90 each. Currently the European multi grain bread is the most sought after. Bakery products' prices range from RM5 to RM12. Oh yes! that day we also tried the special Ruffles Cake, its vanilla sponge cake with lemon chantily cream make from pure lemon juice & zest. The sponge cake is soft, fluff and it’s not too sweet with the special refreshing lemon cream. Wootz! Spotted CTB (Cheese To Bar), a mixture of soft textured cheese with distinctively creamy bars and crusty home style biscuit. Sometimes the little things that we did for others matters the most. I truly agree with this. I plan to Design a Cake for my Mummy in May… you know what day is that right ~ Happy Mother’s Day. Always love you. Cake Deco is a fun activity for the family, group of friends or just by yourself. I think when someone received a personalize cake their heart will melt. Well it will melt my heart. How would you feel if someone designed a cake for you? 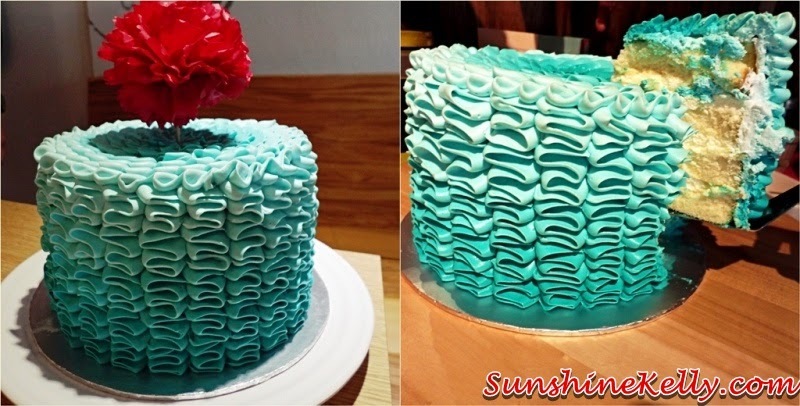 Would you decorate a cake for someone you love? Do I need to make reservation for the diy cake ?